Kapoor Oil Mills is widely known as one of the most dependable Cow Stall Mats Manufacturers in India. Cow mats are excellent for flooring in cattle stall and they provide several benefits both to the cows and owners of the stalls. Other than being safe and comfortable for cows, we have made these mats very durable so that you don’t have to buy them again and again. They are designed to provide optimum comfort to your cattle, which directly lead to more productivity. So, for a more profitable and growing business, include these mats in your cow stall. We are bringing forward Cow Stall Mats that is demanded in dairy farm for providing highly comfortable and healthy environment to cattle. This type of mat helps in increasing milk production, providing better traction, making better legs, udder & joint health and much more. This shock proof and anti-slippery mat also reduces the risk of injury like wear & tear of cattle feet. 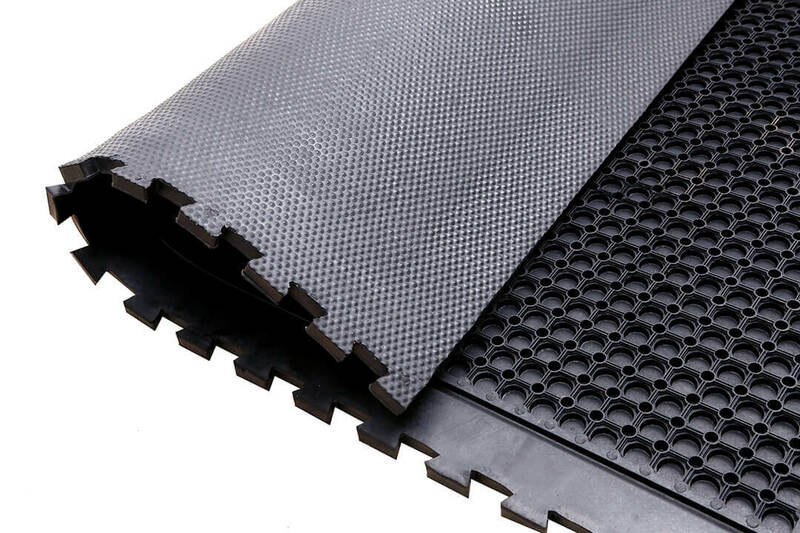 Convenient to clean and highly insulated, these Cow Stall Rubber Mats are manufactured in varied thicknesses, weight, designs, widths and lengths for clients' selection. We are one of the most reliable Cow Stall Mat Exporters and Suppliers in India. It is time that you start thinking about ways to increase the production capacity of your cattle stall. Order now and achieve that goal.